A fresh clean slate to eat right, to exercise, and to move our bodies. New energy for this awesome day. New energy for this awesome week. 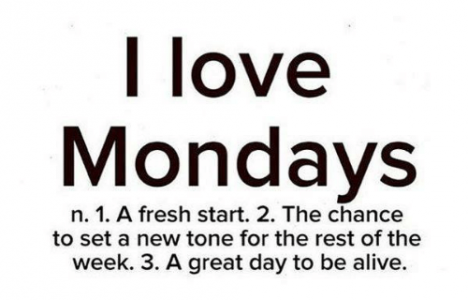 Let’s do this thing called Monday!